Like any industry we have a multitude of terms that are commonly used. So I’ve started a list here. If you have any others to add, please add them in the comments below. And then I’ll add them to the list. Let’s see how big this list gets! ABC Analysis. A form of Pareto analysis applied to a group of products in order to apply selective inventory management controls. The inventory value for each item is obtained by multiplying the annual demand by unit cost and the entire inventory is then ranked in descending order of cost. However, the classification parameter can be varied; for example, it is possible to use the velocity of turnover rather than annual demand value. A Items – An item that, according to an ABC classification, belongs to a small group of products that represents around 75-80% of the annual demand, usage or production volume, in monetary terms, but only some 15-20% of the inventory items. For the purpose of stock control and planning, the greatest attention is paid to this category of A-products. A items may also be of strategic importance to the business concerned. B items – An intermediate group, representing around 5-10% of the annual demand, usage or production value but some 20-25% of the total, that is paid less management attention. C Items – A product which according to an ABC classification belongs to the 60-65% of inventory that represents only around 10-15% the annual demand, usage or production value. Least attention is paid to this category for the purpose of stock control and planning and procurement decisions for such items may be automated. Active Inventory. Any item or element of inventory which has been used or sold within a given period. Often set at 12 months. Advanced Shipping Notice (ASN): Detailed shipment information transmitted by the shipper to a customer or consignee in advance of delivery, designating the contents (individual products and quantities of each) and nature of the shipment. In EDI data standards this is referred to as an 856 transaction. May also include carrier and shipment specifics including time of shipment and expected time of arrival. The ASN data can be valuable in providing digital knowledge about what is in a shipment in a way that it can be used to eliminate manual data entry of each shipment. Aggregate Inventory Management. The size of many inventories requires that they be broken down into groupings for the purpose of control. Aggregated inventory is the further collection of these groupings into a single entity to enable the establishment of operating policies, key performance indicators, targets and reports. Aggregate Inventory Management enables such things as the overall level of inventory desired to be established and then appropriate controls implemented to ensure that individual operating decisions achieve that goal, at optimum cost. Allocated Stock. A part or product that has been reserved, but not yet withdrawn or issued from stock, and is thus not available for other purposes. All-Time Order. The last order for a particular product in the last phase of its life cycle. This order is of such a size that the stock provided will satisfy all expected future demand (see all time requirement below) for the product concerned. Sometimes known as a life of type order. All-Time Requirement. The total requirement for a particular product to be expected in the future. Normally used for products in the last phase of their life cycles, when production is (nearly) stopped. All-Time Stock. The stock resulting from the assessment of an all-time requirement and delivery of an all-time order. If necessary, controls can be set for such stock to avoid consumption of items for reasons over and above those for which usage was predicted. Anticipation Stock. Inventory held in order to be able to satisfy a demand with seasonal fluctuations with a production level that does not fluctuate at all or that varies to a lesser extent than the demand. Availability. The primary measure of system performance relating to the expected percentage of the supported system that will be available at a random point in time and not out of service for lack of spares. Available Stock. The stock available to service immediate demand. Available to Promise (ATP). The uncommitted portion of a company’s inventory and planned production, maintained in the master schedule to support customer order promising. The ATP quantity is the uncommitted inventory balance in the first period and is normally calculated for each period in which an MPS receipt is scheduled. In the first period, ATP includes on-hand inventory less customer orders that are due and overdue. Backflushing. The deduction from inventory, after manufacture, of the component parts used in a parent by exploding the bill of materials by the production total of parents produced. Backhaul Generally a back haul is any return load taken after the delivery has been made. An example of this would be the collection of supplier loads from the supplier by the retailer for delivery into the retailer’s own RDC. Backorder A. Customer demand for which no stock is available and where the customer is prepared to wait for the item to arrive in stock. Benchmarking: The process of comparing performance against the practices of other leading companies for the purpose of improving performance. Companies also benchmark internally by tracking and comparing current performance with past performance. Benchmarking seeks to improve any given business process by exploiting “best practices” rather than merely measuring the best performance. Best practices are the cause of best performance. Studying best practices provides the greatest opportunity for gaining a strategic, operational, and financial advantage. Beyond Economic Repair (BER). Where the projected cost of repair, normally for a repairable or rotable item, exceeds a management set percentage of the replacement value of the item concerned. Batch Number. A code used to identify the specific production point, for a product or an assembly, in a manufacturing or assembly process. Bill of Material. A listing of components, parts, and other items needed to manufacture a product, showing the quantity of each required to produce each end item. A bill of material is similar to a parts list except that it usually shows how the product is fabricated and assembled. Also called a product structure record, formula, recipe, or ingredients list. Category A distinct, separate and manageable group of products that are perceived by consumers to be interrelated. Category Management. The management of groups of products that are interchangeable, or substitutable, in meeting consumer needs as opposed to the traditional concentration on individual products and brands. Central Distribution Centre A warehouse that is the sole stocking point for the distribution system that it serves. Grocery manufacturers commonly have central (or national) distribution centres, stocked by various manufacturing points and serving various retailer distribution warehouses. See National distribution centres. Co-Managed Inventory. A support arrangement similar to Vendor Managed Inventory but where replacement orders for the vendor-owned stock are agreed by the user prior to delivery. Component. A part, ingredient, or subassembly that is both a component to a higher level part, and a parent part to other components. Component Part. Raw material, ingredient, part, or subassembly that goes into a higher level assembly, compound, or other part. Composite Delivery A multi-temperature distribution centre. The receipt, storage and handling of products would typically take place in a variety of on-site chambers each operating at a specific temperature. Composite Distribution Centre (CDC) A multi-temperature distribution centre. The receipt, storage and handling of products would typically take place in a variety of on-site chambers each operating at a specific temperature. Consignment Stock. The stock of goods held by an external customer which is still the property of the supplier but for which payment is only made when stock is sold or used by the customer. Consolidation The loading of two or more suppliers’deliveries to a retailer’s RDC on a single vehicle. This aims to improve load utilisation and also improve unloading time at the RDC. Consolidation Centres Depots that store and/or process stock (see cross docking) into full loads for delivery to retailer RDCs. Consumable. A classification of stock used to describe items or products that are totally consumed in use e.g. paper, oil, grease etc. Cost to Serve. Is a Supply Chain analytical approach, utilising activity based cost techniques that identifies the costs of servicing specific customers, with specific products, by allocating costs to customers, products and channels. De-Coupling Stock. Inventory accumulated between dependent activities in the goods flow to reduce the need for completely synchronized operations. Deduct Point. The point in the production process up to which all the parts assumed to have been used (as defined in the bill of material) are “backflushed”, (automatically deducted) from the inventory records. Also see Backflushing. Demand Driven Supply Chains. This is where a supply system is in direct response to a single point of demand. All the components across a supply chain are synchronized to meet the demand that it is trying to fulfill. Dependent Demand. A classification used in inventory control where the demand for one item has a direct mathematical relationship with the demand for another higher level or parent component and where the demand for that item is ultimately dependent on the demand for the higher level or parent item. Deterministic Inventory Control Models. An inventory control system where all the variables and parameters used are known, or can be calculated with certainty. The rate of demand for items, and the associated inventory costs, are assumed to be known with assurance and the replenishment lead time is assumed to be constant and independent of demand. Direct Store Delivery (DSD). Delivery by suppliers directly to their customers retail outlet, rather than via the retailers DC. Distribution Requirement Planning DRPI. The function of determining the need to replenish inventory at branch warehouses over a forward time period. A time-phased order point approach is used where planned orders at branch warehouse level are exploded via MRP logic to become gross requirements on the supplying source enabling the translation of inventory plans into material flows. In the case of multi-level distribution networks, this explosion process can continue down through the various levels of regional warehouses, master warehouse, factory warehouse etc and become input to the master production schedule. Distribution Resource Planning DRPII. The extension of MRP into the planning of the key resources contained in a distribution system. DSD (Direct Store Delivery). Delivery by suppliers directly to their customers retail outlet, rather than via the retailers DC. Expression Of Interest (EOI). Often the first stage in outsourcing which involves a summary of the requirements being distributed to potential suppliers of goods and/or services. Economic Order Quantity (EOQ). In fixed order quantity systems, the size of an order that minimises the total inventory cost, under a given set of circumstances, obtained by trade off analysis between the cost of placing an order and the cost of holding stock. Economic Stock. The sum of the physical stock and the goods ordered but not yet received, minus the goods sold but not yet delivered for which a company carries risk in respect of a drop in price and unmarketability. Effective Stock. The sum of the physical stock of a particular product and the quantity of that product ordered for a particular period, but not yet received. Efficient Consumer Response (ECR). An initiative whereby elements of the supply chain work together to fulfill consumer wishes better, faster and at less cost. Electronic Commerce (E Commerce). A way to execute transactions and share information with other businesses, consumers or with government by using computer and telecommunication networks, including the Internet. Electronic Data Interchange (EDI). The computer to computer exchange of structured data for automatic processing. Enterprise Requirement Planning (ERP). A further extension of MRP II whereby a single system embraces and integrates all aspects of business operations into a single database application. European Article Numbering (EAN). An international standard of product identification used in the grocery and retail areas of business. Excess Stock. Any quantity of inventory, either held or on order, which exceeds known or anticipated forward demand to such a degree that disposal action should be considered. Factory Gate Pricing. An initative driven by retailers to drive out transportation costs and to improve the efficiency within the primary segment of the supply chain. The retailer generally takes over the management of the primary (inbound) transport and deducts the cost of this transport from the supplier’s product price. See also Primary Freight. Family Group. A group of related products for which demand can be aggregated in order to assess overall demand for the material or parts which make up the family group products. Fill Rate. An item-based measurement that shows the percentage of demands that were met at the time they were placed. Fill rate only measures what happens when demands occur. Finished Goods. Inventory to which the final increments of value have been added through manufacturing. Finished Goods Stock. Stock that is available for supply to an external consumer, including items that have been supplied but not invoiced to an external consumer. Stock Valuation – The method of valuing stocks which assumes that the oldest stock is consumed first and thus issues are valued at the oldest price. Stock Rotation – The method whereby the goods which have been longest in stock are delivered (sold) and/or consumed first. First Pick Ratio. During order picking, the percentage of orders or lines for which 100% completion was achieved from the primary location or picking face. In Process Goods. Partially completed final products that are still in the production process either as an accumulation of partially completed work or the queue of material awaiting further processing. Inactive Inventory. Stock of items that have not been used for a defined period. Inco Terms. These are internationally accepted commercial terms defining the respective roles of the buyer and seller in the arrangement of transportation and other responsibilities and clarify when the ownership of the merchandise takes place. They are used in conjunction with a sales agreement or other method of transacting the sale. FCA – Free Carrier — Title and risk pass to buyer including transportation and insurance cost when the seller delivers goods cleared for export to the carrier.Seller is obligated to load the goods on the Buyer’s collecting vehicle; it is the Buyer’s obligation to recieve the Seller’s arriving vehicle unloaded. DAF – Delivered at Frontier — Title, risk and responsibility for import clearance pass to buyer when delivered to named border point by seller. Used for any mode of transportation. DES – Delivered Ex Ship — Title, risk, responsibility for vessel discharge and import clearance pass to buyer when seller delivers goods on board the ship to destination port. Used for sea or inland waterway transportation. DEQ – Delivered Ex Quay (Duty Paid) — Title and risk pass to buyer when delivered on board the ship at the destination point by the seller who delivers goods on dock at destination point cleared for import. Used for sea or inland waterway transportation. Note: EXW, CPT, CIP, DAF, DDU and DDP are commonly used for any mode of transportation. FAS, FOB, CFR, CIF, DES, and DEQ are used for sea and inland waterway. Integrated Business Planning, is a planning process that integrates across two or more functions in a business or government entity referred to as an enterprise to maximize financial value. The specific functional areas in a company as well as the industry domain associated with the company defines the specific type of IBP process. The key requirement for IBP is that two or more functional process areas must be involved and maximizing (optimizing) of financial value should be done. Corporate executives, business unit heads and planning managers use IBP to evaluate plans and activities based on the economic impact of each consideration. Independent Demand. A classification used in inventory control systems where the demand for any one item has no relationship with the demand for any other item and variations in demand occur because of random influences from the market place. Intermediate Product. A product for which independent demand can exist and for which there is also demand as part of another higher level product e.g. : a single can and a multi-can pack or a sub-assembly spare and the major assembly of which it forms part. Inventory Control. Consists of all the activities and procedures used to control and maintain the right amount of each item in stock or to provide the required level of service at minimum cost. Inventory Modeling. The evaluation of alternative inventory design characteristics or inventory parameters using analytical or simulation processes to assist management decisions. Inventory Policy. A statement of a company’s goals and approach to inventory management. Inventory Process. Any business process that involves inventory. Includes the receiving of parts, putting them away, and their storage, withdrawal, issue, and movement through work-in process, while simultaneously tracking their movement and maintaining records of those events and their effects. Inventory Records. Records that reflect how much and what kind of inventories a company has on hand, committed (allocated) to work in process, and on order. Inventory Usage. The value of the number of units, or quantity, of an inventory item (stock usage) consumed over a period of time. Inventory Value. The value of inventory at either cost or market value. The value of the inventory is usually computed on a First In First Out (FIFO) or Last In First Out (LIFO) or average cost basis. Issue List. A document that states all the parts to be issued. Issues based supply chain development. This is an approach that is used to first make an assessment of the problems, issues and root causes in a supply chain and then uses the root causes to understand the strategic gaps in the supply chain. Issue Tickets. An authorisation to withdraw allocated stock items from the stockroom. When presented to the stockroom, they can be exchanged for the parts designated. Issuing Documents. The physical documents that communicate specifically how much of what needs to be issued to where. Issue lists, issue tickets, and issue decks are all forms of issuing documents. Item Number. See Part Number. Just-in-Time JIT. A dependent demand inventory control philosophy which views production as a system in which all operations, including the delivery of materials needed for production, occur just at the time they are needed. Thus, stocks of material are virtually eliminated. Location Checking. The systematic physical checking of warehouse stock against location records to ensure location accuracy. Logistics. The time-related positioning of resources to meet user requirements. Lot Number. The allocation of a unique number, to one or more of a product during manufacture or assembly, to provide traceability. Lost Sales. A customer demand for which no stock is available and where the customer is not prepared to wait for the item to arrive in stock but goes to another supplier. Material Requirements Planning (MRP I). A system to support manufacturing and fabrication organisations by the timely release of production and purchase orders using the production plan for finished goods to determine the materials required to make the product. Orders for dependent demand items are phased over time to ensure that the flow of raw materials and in-process inventories matches the production schedules for finished products. The 3 key inputs are; the master production schedule, inventory status records and product structure records. Manufacturing Resource Planning (MRP II). A method for the effective planning of all the resources of a manufacturing company. Ideally it addresses operational planning in units, financial planning in money, and has a simulation capability to answer what if questions. It is made up of a variety of functions, each linked together: business planning, master (or production) planning, master production scheduling, material requirements planning, capacity requirements planning and the execution systems for capacity and priority. Outputs from these systems would be integrated with financial reports such as the business plan, purchase commitment report, shipping budget, stock projections in money etc. Manufacturing resource planning is a direct out-growth and extension of material requirements planning (MRP-1). Make to Order. A manufacturing process strategy where the trigger to begin manufacture of a product is an actual customer order or release rather than a market forecast. Materials Management. The planning, organisation and control of all aspects of inventory embracing procurement, warehousing, work-in-progress, shipping, and distribution of finished goods. Maximum Stock. The upper limit, expressed in quantitative, financial or time-based terms, to which the stock of an item should normally be allowed to rise. Maximum Order. Quantity An order quantity which, in principle, must not be exceeded. Minimum Order. The smallest order quantity which, in principle, is allowed. Minimum Stock. A control limit within a stock control system which could indicate the point at which an order should be placed, or indicate if stocks are too low, for a specific item. Obsolete Stock. Stock held within an organisation where there is no longer any organisational reason for holding the stock. Obsolescent Stock. Parts which have been replaced by an alternative but which may still be used until stock is exhausted. Off Shoring. This generally refers to the outsourcing (off shore) of manufacturing and production. On-hand Balance. The quantity of an item shown in the inventory records as being physically in stock. Opening Stock. The stock of an item at the beginning of an inventory accounting period of time. Order Lead Time. The total internal processing time necessary to transform a replenishment quantity into an order and for the transmission of that order to the recipient. Order Picking. Collecting items from a storage location to satisfy a shop or customer order. Order Point Inventory System. An inventory control system for independent demand items where a reorder requirement is generated and sent to a supplier when the on-hand inventory balance reaches a specified level. Outsourcing. An arrangement whereby an external party or ‘contractor’ undertakes certain business processes on behalf of their client. In Supply Chain this would typically be warehousing and transport. Parent Part. Any finished goods, end item, or part that is mixed, fabricated, assembled, stirred, or blended from one or more other components. Pareto Principle. The heuristic rule which states that where there is a large number of contributors to a result, the majority of the result is due to a minority of the contributors.. Sometimes known as the 80/20 rule) which states that, in many cases, approximately 80% of the turnover (stock etc.) can be ascribed to approximately 20% of the customers, articles or orders. The actual ratio in a particular case can be determined by ranking the customers and products etc. in order of magnitude and then calculating what percentage of the turnover (stock etc.) corresponds to 10%, 20% 30% etc. of the customer and products etc. The basis of ABC analysis. Part Number. A unique identification number allocated to a specific part either by the manufacturer or user of the part. Perpetual Inventory System. An inventory control system where a running record is kept of the amount of stock held for each item. Whenever an issue is made, the withdrawal is logged and the result compared with the re-order point for any necessary re-order action. Periodic Inventory. An inventory control system classification for independent demand items where the number of items held is reviewed at a fixed time interval and the size of any resultant order depends on the stock on hand at the time of the review. Pick Face. The primary location in a warehouse at which order picking, of less than pallet loads, is undertaken. Picking List. An output from an inventory control system designating those items, by part number, description and quantity, to be picked from stock to satisfy customer demand. Pipeline Stocks. The products which are currently being moved from one location to another. Primary Freight (Strategy). An initative driven by retailers to drive out transportation costs and to improve the efficiency within the primary segment of the supply chain. The retailer generally takes over the management of the primary (inbound) transport and deducts the cost of this transport from the supplier’s invoice based on an agreed cost per pallet or case. See also Factory Gate Pricing. Primary Transport. The transport ‘leg’ from the Supplier to the Customer. Normally viewed as being from the supplier’s distribution centre (DC) to the customer’s DC. See also secondary transport. Probabilistic (or Stochastic) Inventory Control. Models An inventory control system where all the variables and parameters used are treated as random variables. It is assumed that the average demand for items is approximately constant over time and that it is possible to state the probability distribution of the demand, particularly during the lead time for replenishment. Production Lead Time. The time taken to manufacture or produce an item after an external order has been received until the item is available for packing. Proof of Delivery (POD). Information supplied by the carrier containing the name of the person who signed for the shipment, the time and date of delivery and other shipment delivery-related information. Pull System. A system where orders for an end item are pulled through the facility to satisfy demand for the end item. An examples of pull system is the JIT Kanban process. Purchasing Lead Time (PLT). The length of time between the decision to purchase an item and its actual addition to stock. Purchasing Lead Time (PLT). The total length of time between the decision to purchase an item and its availability for dispatch from the supplier concerned (that is, the sum of the order lead-time, the production lead time and any time necessary for packing or preparation for dispatch of a specific order). Push System. A system where orders are issued for completion by specified due dates, based on estimated lead-times, or where the flow of material in a product structure is controlled and determined by the lower levels. Put Away Rules. The internal rules and procedures for positioning stock in a warehouse or store after goods inward processing. Quarantine Stock. On-hand stock which has been segregated and is not available to meet customer requirements. Radio Frequency Identification (RFID). The attachment of transponders (which may be read only or read/write) to products, as an alternative to linear bar codes, to enable product identification some distance from the scanner or when out of line of sight. Random Sample Cycle Counting. A method in which the particular parts to be counted are selected from the population of part numbers in a manner that has no inherent bias. In this selection process, each part number has an equal chance of being selected. Rapid Acquisition of Manufactured Parts (RAMP). A make to order process to reduce the purchasing lead time for long lead time manufactured parts whereby Product Data is held in STEP (the international standard for exchange of manufacturing product data) by the customer and exchanged, in electronic format, when an order is placed. Raw Material. Stock or items purchased from suppliers, to be input to a production process, and which will subsequently modified or transformed into finished goods. Redundant Stock. Parts used in manufacture which have been removed from a bill of material by technical change or modification action. Redundant parts may also be obsolete if they are no longer used for any other application in the inventory concerned. Regional Distribution Centre (RDC) A warehouse operated by or on behalf of a retailer that serves a number of stores in a specific area with a range of product types and temperature bands. Repairable Period (RP). The total out of service time, including transit time, from when a repairable component becomes unfit for use until the time it is returned to stock and is available for further use. Repairable Item. An inventory item that is not normally consumed in use but one which will be repaired and re-used as part of the normal stock policy for that item. Such items have a repair lead-time as well as a procurement lead-time. Repair Period (RP). The total out of service time, including transit time, from when a repairable component becomes unfit for use until the time it is returned to stock and is available for further use. Re-Order Level (ROL) (or Re-Order Point – ROP). The calculated level of stock within an inventory control system to which the quantity of a specific item is allowed to fall before replenishment order action is generated. Re-Order Quantity, Replenishment Order Quantity. The calculated order quantity necessary to replenish stocks at a given point in time. The method of calculation, and the timing of the order, will vary depending on the type of inventory control system in use. Quantity based systems are checked continually to determine if an order should be placed; time based systems only have a count of stock at predetermined intervals and orders placed as required; a distribution system plans orders to meet distribution needs; and production based systems only order stock to meet manufacturing requirements. Reorder Costs. The total cost of placing a repeat order for an item either externally on a supplier or for internal manufacture. The costs may include elements to cover: order preparation, administration, IT overheads, correspondence, telephone, transportation, goods inward processing, inspection and for manufacture, batch et up costs and other production overheads. Retail Buying Alignment. This is where the retail buying function is totally integrated to supply chain activity so that a buyer understands and makes decisions within the context of an optimised supply chain model. Reverse Logistics. The requirement to plan the flow of surplus or unwanted material or equipment back through the supply chain after meeting customer demand. Review Interval. The time between assessing order requirements in a fixed order interval system. Rotable. An repairable inventory item that can be repeatedly restored to a fully serviceable condition and re-used over the normal life cycle of the parent equipment to which it is related. Such items have a repair lead time as well as a procurement lead time and normally have a serial number that is retained throughout the rotable life regardless of the extent of replacement of its component parts. Rounding Order Quantity. That element of an order that has been added to the basic order quantity to meet a constraint imposed by the manufacturer or to optimise overall supply chain costs. Routing. A process of optimising transport delivery routes to make better use of time and capacity to reduce overall costs. This type of fleet optimisation is generally supported with specialist software tools. Early tools used what was called the ‘travelling salesman’ algorithm. Safety Stock. The stock held to protect against the differences between forecast and actual consumption, and between expected and actual delivery times of procurement orders, to protect against stockouts during the replenishment cycle. In calculating safety stock, account is taken of such factors as service level, expected fluctuations of demand and likely variations in lead time. Sales Forecast. The prediction, projection or estimation of expected sales over a specified future time period. Sample Stability. If a sample produces a particular result, and by increasing the sample size it continues to produce the same result, the sample has stability and can be assumed to be representative of the population. This is an important characteristic when the population size is unknown or extremely large. Secondary Transport. The transport ‘leg’ from a distribution centre (DC) to the customer. For example from the retailer DC to the retail store. Selective inventory Control. The application of varying levels of control to the total inventory to enable managers to concentrate on significant matters (see ABC analysis and ABC classification). Service Differentiation. Is a Supply Chain management approach that aims to reduce costs by identifying customer service needs and ensuring that customers are not unnecessarily over or under serviced. Slotting. A method of optimising the ‘pick path’ in a warehouse, by ensuring that frequently selected items are closer to the despatch area, or lower down in high rise facilities. Significant time and cost saving results if this is done well. Stock Site. A location at which stock is held. Stock Turn. The number of times that an inventory turns over during the year and normally obtained by dividing the average inventory value into the annual cost of sales. i.e. Annual sales at cost / average inventory value. Stocktaking. A physical count of products actually held in stock as a basis for verification of the stock records and accounts. Stock Turnover (or Stock Turn). A widely used measure of inventory performance expressed as the ratio of the cost of units sold to the average value of stock. Stock Types. The products which are determined for delivery from stock. Strategic Stock. The stock of goods of essential importance for the continuation of the production process and which is built up in order to compensate for long hold-ups of incoming goods (caused by strikes and political difficulties etc. in a particular country or region). Supply-Chain. The total sequence of business processes, within a single or multiple enterprise environments, that enable customer demand for a product or service to be satisfied. Supply-Chain Management (SCM). Organisation of the overall business processes to enable the profitable transformation of raw materials or products into finished goods and their timely distribution to meet customer demand. Supply chain sustainability, is the management of environmental, social and economic impacts and the encouragement of good governance practices, throughout the lifecycles of goods and services. The objective of supply chain sustainability is to create, protect and grow long-term environmental, social and economic value for all stakeholders involved in bringing products and services to market. Time to Serve Is a Supply Chain analytical approach that identifies the lead time at various points in the Supply Chain in order to assess the total cost and service impact of lead time changes. Total Acquisition Cost (TAQ). The sum of all the costs to an organisation of carrying an item in stock including reorder, carrying and shortage costs. Total Lead-time. The total time between the decision to place a replenishment order until its availability for use. That is, the sum of Order Lead-time, Purchasing Lead-time, Transit Time and any Goods Inward Lead-time for that replenishment order. Traceability. The identification of goods or material used in manufacturing or processing to enable the relevant production batch and material source to be traced in case of subsequent defects. Transaction. Recording of a material movement or an adjustment event that impacts on a stock position. Transit Time. The time taken to move goods physically between different locations in a supply chain or laterally to another facility. Turn Around Time (TAT). The total time taken to repair a component at the repair location, including waiting time but excluding transit time. Unit. The standard size or quantity of a stock item. Unit Cost. The cost to an organisation of acquiring one unit, including any freight costs, if obtained from an external source or the total unit production cost, including direct labour, direct material and factory overheads, if manufactured in-house. Unit of Measure. The standard unit of an item used in the stock account and to construct order quantities. Vendor Hub. Third party operation of a warehouse, funded by suppliers, containing Vendor-Owned stock for delivery to a customer (See Lineside Warehouse). Wiggle Factor. A term used in route & fleet planning that converts the ‘straight line’ distance between two points to an approximation of the actual road distance. 1.2 is commonly used in Urban areas. Work in Progress WIP. The total amount of work in processing, between production stages or subject to a waiting time. Work in Progress Stock. The stock of products and/or materials and components which are still in the production department and are not, or are no longer, included in the stock in the store. Working Stock. The stock of materials, components and sub-assemblies (excluding safety stock) held in advance of demand so that ordering can done on a lot size rather than on an as needed basis. In other words, the normal stocks formed by products arriving in large regular orders to meet smaller, more frequent customer demand. Also known as cycle stock or lot size stock. X12: The ANSI standard for inter-industry electronic interchange of business transactions. Yard Management System (YMS). A system which is designed to facilitate and organize the coming, going and staging and visibility of trucks and trucks with trailers in the parking “yard” that serves a warehouse, distribution or manufacturing facility. Zero Inventories. Part of the principles of just-in-time which relates the elimination of waste by having only required materials when needed. OK, so what others do you think could be added to this list? Pop them in the comments section and I’ll add them above. About the Author. 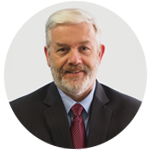 Rob O’Byrne is the founder and CEO of the Logistics Bureau Group based in Sydney Australia. Logistics Bureau Group founded in 1997, provides Supply Chain Consulting and education services in Australia and SE Asia. I keep thinking of new ones to add! Thank you very much for all of your efforts. People like you help in creating a social life full of educated living been. I admire your work because other like your self helped me in getting my Bachelor Degree In SCM and Logistics. What does 3PL stand for? 3PL = Third Party Logistics. Meaning a company that provides Logistics services. I really like your site, it has nice articles, Have a nice day! NOS = never out of stock. Process that keeps track on products @ inventory and supports in-time replenishment based on desired stock levels to avoid stock-outs. Nice. That’s a new one for me!